and manageability in your choice of form factors. Amplify your performance with 8th Gen Intel® Core™ processors1 up to 95W2, optional Intel® Optane™ memory3, and Thunderbolt™2. and monitor and restore in-memory BIOS automatically. Helps speed up image creation and management of hardware, BIOS, and security through Microsoft System Center Configuration Manager. Keep data out of reach and defend against theft, attacks, and unauthorized users. Accommodate smaller workspaces without compromising performance and expandability. HP's most powerful enterprise–class desktop PC – designed for high performance needs, expandability, and security. 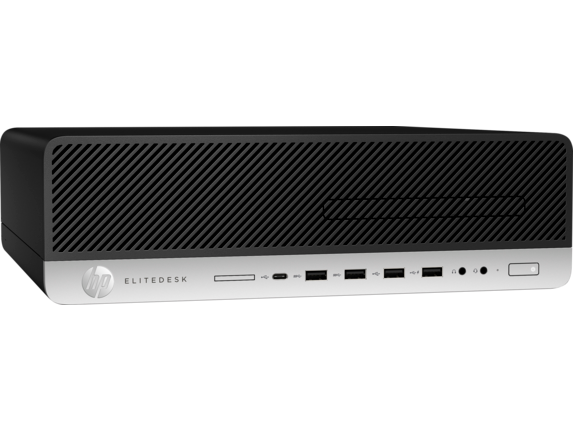 Imagine what your business can do – the HP EliteDesk 800 Tower combines high-performance 8th Gen Intel® Core™ processors1Â with powerful memory and discrete graphics12Â to bring your VR content to life. Eligant, immersive, and adaptable to expand your visual experience. Remarkable power in an ultraslim design. Elite PC performance in a stunning and extremely thin all–in–one. Intel® Optane™ Memory is storage acceleration cache and is not system memory. Intel® Optane™ Memory is sold separately and is available for HP commercial desktops, notebooks and select HP workstations (HP Z240 Tower/SFF, Z2 Mini, ZBook Studio, 15 and 17 G5) and requires a SATA HDD, 7th Gen or higher Intel® Core™ processor or Intel® Xeon® processor E3-1200 V6 product family and forward BIOS version with Intel® Optane™ supported, Windows 10 version 1703 or higher, M.2 type 2280-S1-B-M connector on a PCH Remapped PCIe Controller and Lanes in a x2 or x4 configuration with B-M keys that meet NVMe™ Spec 1.1, and an Intel® Rapid Storage Technology (Intel® RST) 15.5 driver. Based on HP's unique and comprehensive security capabilities at no additional cost and HP Manageability Integration Kit's management of every aspect of a PC including hardware, BIOS and software management using Microsoft System Center Configuration Manager among vendors with >1M unit annual sales as of January 2018 on HP Elite PCs with 7th Gen Intel® Core® Processors, Intel® integrated graphics, and Intel® WLAN. 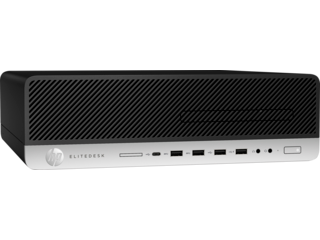 HP Sure Recover is available on HP Elite PCs with 8th generation Intel® or AMD processors and requires an open, wired network connection. You must back up important files, data, photos, videos, etc. before using HP Sure Recover to avoid loss of data. HP Sure Click is available on select HP platforms and supports Microsoft® Internet Explorer and Chromium™. Check http://h20195.www2.hp.com/v2/GetDocument.aspx?docname=4AA7-0922ENW (PDF, 220KB) for all compatible platforms as they become available. HP Manageability Integration Kit Gen2 can be downloaded from http://www.hp.com/go/clientmanagement. AMD Radeon™ RX560 only available on models with a 35W processor. 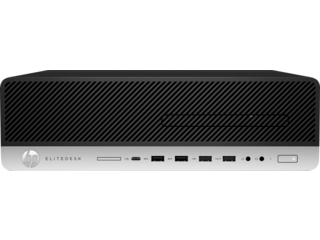 Only available only on the HP EliteDesk 800 Tower. An i5 processor (or higher) and discrete graphics card (AMD RX580 or NVIDIA GTX 1060, an optional feature sold separately) are required for viewing VR content. MIL–STD testing is pending and is not intended to demonstrate fitness for U.S. Department of Defense contract requirements or for military use. Test results are not a guarantee of future performance under these test conditions. Accidental damage requires an optional HP Accidental Damage Protection Care Pack. 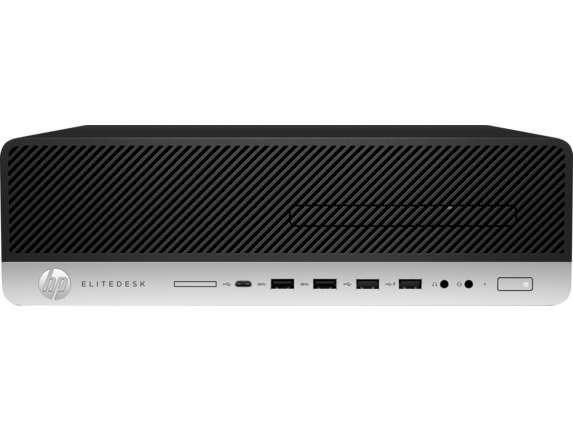 Powered for the enterprise, the HP EliteDesk 800 SFF is one of our most secure and manageable PCs featuring high performance and expandability in a space-saving, stylishly designed chassis for the modern workplace. For systems configured with more than 3 GB of memory and a 32-bit operating system, all memory may not be available due to system resource requirements. Addressing memory above 4 GB requires a 64-bit operating system. Memory modules support data transfer rates up to 2133 MT/s; actual data rate is determined by the system's configured processor. See processor specifications for supported memory data rate. All memory slots are customer accessible / upgradeable. (1) Configurable video port: Choice of DisplayPort™ 1.2 , HDMI 2.0, or VGA, Type-C™ Card with Display Output, Type-C™ Card with Display Output and Power Delivery. Wireless access point and internet service required. Wireless LAN is optional and must be bought at purchase. Antimicrobial USB Mouse and HP USB Hardened Mouse, HP PS/2 Mouse, HP USB and PS/2 Washable Mouse: are not available in all regions. HP BIOSphere Gen4: Requires Intel® or AMD 8th Gen processors. Features may vary depending on the platform and configurations. HP USB and PS/2 Washable Keyboard, HP PS/2 Business Slim Keyboard, HP PS/2 Keyboard: PS/2 port not available on EliteOne 800 G4 AiOs. Intel® I210-T1 PCIe® GbE: Sold separately or as an optional feature. Your product does not support Windows 8 or Windows 7, In accordance with Microsoft’s support policy, HP does not support the Windows 8 or Windows 7 operating system on products configured with Intel® 8th generation and forward processors or provide any Windows 8 or Windows 7 drivers on http://www.support.hp.com. Intel® Optane™ memory (cache) is sold separately. Intel® Optane™ memory system acceleration does not replace or increase the DRAM in your system. Available for HP commercial desktops and notebooks and for select HP workstations (HP Z240 Tower/SFF, Z2 Mini, ZBook Studio, 15 and 17 G5) and requires a SATA HDD, 7th Gen or higher Intel® Core™ processor or Intel® Xeon® processor E3-1200 V6 product family or higher, BIOS version with Intel® Optane™ supported, Windows 10 version 1703 or higher, M.2 type 2280-S1-B-M connector on a PCH Remapped PCIe Controller and Lanes in a x2 or x4 configuration with B-M keys that meet NVMe™ Spec 1.1, and an Intel® Rapid Storage Technology (Intel® RST) 15.5 driver. HP ePrint Driver: Requires an Internet connection to HP web-enabled printer and HP ePrint account registration (for a list of eligible printers, supported documents and image types and other HP ePrint details, see www.hp.com/go/eprintcenter). Print times and connection speeds may vary. HP WorkWise: Smartphone app is available as a free download on Google Play. Microsoft Defender: Opt in and internet connection required for updates. HP Sure Start Gen4: is available on HP Elite and HP Pro 600 products equipped with 8th generation Intel® or AMD processors. Firmware TPM: Is version 2.0. Hardware TPM is v1.2, which is a subset of the TPM 2.0 specification version v0.89 as implemented by Intel Platform Trust Technology (PTT). RAID configuration: Is optional and does require a second hard drive. Intel® Identity Protection Technology (Intel® IPT): Models configured with Intel® Core™ processors have the ability to utilize advanced security protection for online transactions. Intel® Identity Protection Technology (Intel® IPT), used in conjunction with participating web sites, provides double identity authentication by adding a hardware component in addition to the usual user name and password. Intel® Identity Protection Technology (Intel® IPT) is initialized through an HP Client Security module. 1 Not all features are available in all editions or versions of Windows. Systems may require upgraded and/or separately purchased hardware, drivers, software or BIOS update to take full advantage of Windows functionality. Windows 10 is automatically updated, which is always enabled. ISP fees may apply and additional requirements may apply over time for updates. See http://www.windows.com/. 2 Some devices for academic use will automatically be updated to Windows 10 Pro Education with the Windows 10 Anniversary Update. Features vary; see https://aka.ms/ProEducation for Windows 10 Pro Education feature information. 3 Multi-core is designed to improve performance of certain software products. Not all customers or software applications will necessarily benefit from use of this technology. Performance and clock frequency will vary depending on application workload and your hardware and software configurations. Intel’s numbering, branding and/or naming is not a measurement of higher performance. 4 For systems configured with more than 3 GB of memory and a 32-bit operating system, all memory may not be available due to system resource requirements. Addressing memory above 4 GB requires a 64-bit operating system. Memory modules support data transfer rates up to 2133 MT/s; actual data rate is determined by the system's configured processor. See processor specifications for supported memory data rate. All memory slots are customer accessible / upgradeable. 5 For hard drives and solid state drives, GB = 1 billion bytes. TB = 1 trillion bytes. Actual formatted capacity is less. Up to 36 GB (for Windows 10) of system disk is reserved for the system recovery software. 6 (1) Configurable video port: Choice of DisplayPort™ 1.2 , HDMI 2.0, or VGA, Type-C™ Card with Display Output, Type-C™ Card with Display Output and Power Delivery. 7 Wireless access point and internet service required. Wireless LAN is optional and must be bought at purchase. 8 Antimicrobial USB Mouse and HP USB Hardened Mouse, HP PS/2 Mouse, HP USB and PS/2 Washable Mouse: are not available in all regions. 9 Miracast is a wireless technology your PC can use to project your screen to TVs, projectors, and streaming. 10 HP Driver Packs: Not preinstalled, however available for download at http://www.hp.com/go/clientmanagement 11 HP BIOSphere Gen4: Requires Intel® or AMD 8th Gen processors. Features may vary depending on the platform and configurations. 12 EPEAT® registered where applicable. EPEAT registration varies by country. See www.epeat.net for registration status by country. See HP’s 3rd party option store for solar energy accessory www.hp.com/go/options. 13 All memory slots are customer accessible / upgradeable. 14 HP USB and PS/2 Washable Keyboard, HP PS/2 Business Slim Keyboard, HP PS/2 Keyboard: PS/2 port not available on EliteOne 800 G4 AiOs. 15 External power supplies, power cords, cables and peripherals are not Low Halogen. Service parts obtained after purchase may not be Low Halogen. 16 Intel® I210-T1 PCIe® GbE: Sold separately or as an optional feature. 17 Absolute Persistence Module: Absolute agent is shipped turned off, and will be activated when customers activate a purchased subscription. Subscriptions can be purchased for terms ranging multiple years. Service is limited, check with Absolute for availability outside the U.S. The Absolute Recovery Guarantee is a limited warranty. Certain conditions apply. For full details visit: http://www.absolute.com/company/legal/agreements/computrace-agreement. Data Delete is an optional service provided by Absolute Software. If utilized, the Recovery Guarantee is null and void. In order to use the Data Delete service, customers must first sign a Pre-Authorization Agreement and either obtain a PIN or purchase one or more RSA SecurID tokens from Absolute Software. 18 (2) USB 3.1 Gen 1 (5 Gbit/s): allows for wake from S4/S5 with keyboard/mouse when connected and enabled in BIOS. 19 Your product does not support Windows 8 or Windows 7, In accordance with Microsoft’s support policy, HP does not support the Windows 8 or Windows 7 operating system on products configured with Intel® 8th generation and forward processors or provide any Windows 8 or Windows 7 drivers on http://www.support.hp.com. 20 Intel® Optane™ memory (cache) is sold separately. Intel® Optane™ memory system acceleration does not replace or increase the DRAM in your system. Available for HP commercial desktops and notebooks and for select HP workstations (HP Z240 Tower/SFF, Z2 Mini, ZBook Studio, 15 and 17 G5) and requires a SATA HDD, 7th Gen or higher Intel® Core™ processor or Intel® Xeon® processor E3-1200 V6 product family or higher, BIOS version with Intel® Optane™ supported, Windows 10 version 1703 or higher, M.2 type 2280-S1-B-M connector on a PCH Remapped PCIe Controller and Lanes in a x2 or x4 configuration with B-M keys that meet NVMe™ Spec 1.1, and an Intel® Rapid Storage Technology (Intel® RST) 15.5 driver. 21 HP ePrint Driver: Requires an Internet connection to HP web-enabled printer and HP ePrint account registration (for a list of eligible printers, supported documents and image types and other HP ePrint details, see www.hp.com/go/eprintcenter). Print times and connection speeds may vary. 22 HP Support Assistant: Requires Windows and Internet access. 23 HP WorkWise: Smartphone app is available as a free download on Google Play. 24 HP Sure Recover: is available on HP Elite PCs with 8th generation Intel® or AMD processors and requires an open, wired network connection. Not available on platforms with multiple internal storage drives, Intel® Optane™. You must back up important files, data, photos, videos, etc. before use to avoid loss of data. 25 HP Manageability Integration Kit: Can be downloaded from http://www8.hp.com/us/en/ads/clientmanagement/overview.html 26 Ivanti Management Suite: Subscription required. 27 HP Client Security Suite Gen 4: Requires Windows and Intel® or AMD 8th generation processors. 28 HP Password Manager: Requires Internet Explorer or Chrome or FireFox. Some websites and applications may not be supported. User may need to enable or allow the add-on / extension in the internet browser. 29 Microsoft Defender: Opt in and internet connection required for updates. 30 HP Sure Start Gen4: is available on HP Elite and HP Pro 600 products equipped with 8th generation Intel® or AMD processors. 31 Firmware TPM: Is version 2.0. Hardware TPM is v1.2, which is a subset of the TPM 2.0 specification version v0.89 as implemented by Intel Platform Trust Technology (PTT). 32 RAID configuration: Is optional and does require a second hard drive. 33 HP Sure Run: Is available on HP Elite products equipped with 8th generation Intel® or AMD processors. 34 Intel® Identity Protection Technology (Intel® IPT): Models configured with Intel® Core™ processors have the ability to utilize advanced security protection for online transactions. Intel® Identity Protection Technology (Intel® IPT), used in conjunction with participating web sites, provides double identity authentication by adding a hardware component in addition to the usual user name and password. Intel® Identity Protection Technology (Intel® IPT) is initialized through an HP Client Security module. 35 Intel® Turbo Boost technology requires a PC with a processor with Intel Turbo Boost capability. Intel Turbo Boost performance varies depending on hardware, software and overall system configuration. See www.intel.com/technology/turboboost for more information. 36 Intel® Optane™ memory system acceleration does not replace or increase the DRAM in your system and requires configuration with an optional Intel® Core™ i(5 or 7)+ processor. 37 HP Drive Lock is not supported on NVMe drives. 38 Sold separately or as an optional feature. 1 Not all features are available in all editions or versions of Windows. Systems may require upgraded and/or separately purchased hardware, drivers, software or BIOS update to take full advantage of Windows functionality. Windows 10 is automatically updated, which is always enabled. ISP fees may apply and additional requirements may apply over time for updates. See http://www.windows.com. 2 HP Sure Start Gen4 is available on HP Elite and HP Pro 600 products equipped with 8th generation Intel® or AMD processors. 3 Multi-Core is designed to improve performance of certain software products. Not all customers or software applications will necessarily benefit from use of this technology. Performance and clock frequency will vary depending on application workload and your hardware and software configurations. Intel’s numbering, branding and/or naming is not a measurement of higher performance. 4 Intel® Optane™ memory system acceleration does not replace or increase the DRAM in your system and requires configuration with an optional Intel® Core™ i(5 or 7)+ processor. 5 Sold separately or as an optional feature. 6 HP Sure Click is available on most HP PCs and supports Microsoft® Internet Explorer and Chromium™. Supported attachments include Microsoft Office (Word, Excel, PowerPoint) and PDF files in read only mode, when Microsoft Office or Adobe Acrobat are installed. 7 1 Not all features are available in all editions or versions of Windows. Systems may require upgraded and/or separately purchased hardware, drivers, software or BIOS update to take full advantage of Windows functionality. Windows 10 is automatically updated, which is always enabled. ISP fees may apply and additional requirements may apply over time for updates. See http://www.windows.com/. 2 Some devices for academic use will automatically be updated to Windows 10 Pro Education with the Windows 10 Anniversary Update. Features vary; see https://aka.ms/ProEducation for Windows 10 Pro Education feature information. 3 Multi-core is designed to improve performance of certain software products. Not all customers or software applications will necessarily benefit from use of this technology. Performance and clock frequency will vary depending on application workload and your hardware and software configurations. Intel’s numbering, branding and/or naming is not a measurement of higher performance. 4 For systems configured with more than 3 GB of memory and a 32-bit operating system, all memory may not be available due to system resource requirements. Addressing memory above 4 GB requires a 64-bit operating system. Memory modules support data transfer rates up to 2133 MT/s; actual data rate is determined by the system's configured processor. See processor specifications for supported memory data rate. All memory slots are customer accessible / upgradeable. 5 For hard drives and solid state drives, GB = 1 billion bytes. TB = 1 trillion bytes. Actual formatted capacity is less. Up to 36 GB (for Windows 10) of system disk is reserved for the system recovery software. 6 (1) Configurable video port: Choice of DisplayPort™ 1.2 , HDMI 2.0, or VGA, Type-C™ Card with Display Output, Type-C™ Card with Display Output and Power Delivery. 7 Wireless access point and internet service required. Wireless LAN is optional and must be bought at purchase. 8 Antimicrobial USB Mouse and HP USB Hardened Mouse, HP PS/2 Mouse, HP USB and PS/2 Washable Mouse: are not available in all regions. 9 Miracast is a wireless technology your PC can use to project your screen to TVs, projectors, and streaming. 10 HP Driver Packs: Not preinstalled, however available for download at http://www.hp.com/go/clientmanagement 11 HP BIOSphere Gen4: Requires Intel® or AMD 8th Gen processors. Features may vary depending on the platform and configurations. 12 EPEAT® registered where applicable. EPEAT registration varies by country. See www.epeat.net for registration status by country. See HP’s 3rd party option store for solar energy accessory www.hp.com/go/options. 13 All memory slots are customer accessible / upgradeable. 14 HP USB and PS/2 Washable Keyboard, HP PS/2 Business Slim Keyboard, HP PS/2 Keyboard: PS/2 port not available on EliteOne 800 G4 AiOs. 15 External power supplies, power cords, cables and peripherals are not Low Halogen. Service parts obtained after purchase may not be Low Halogen. 16 Intel® I210-T1 PCIe® GbE: Sold separately or as an optional feature. 17 Absolute Persistence Module: Absolute agent is shipped turned off, and will be activated when customers activate a purchased subscription. Subscriptions can be purchased for terms ranging multiple years. Service is limited, check with Absolute for availability outside the U.S. The Absolute Recovery Guarantee is a limited warranty. Certain conditions apply. For full details visit: http://www.absolute.com/company/legal/agreements/computrace-agreement. Data Delete is an optional service provided by Absolute Software. If utilized, the Recovery Guarantee is null and void. In order to use the Data Delete service, customers must first sign a Pre-Authorization Agreement and either obtain a PIN or purchase one or more RSA SecurID tokens from Absolute Software. 18 (2) USB 3.1 Gen 1 (5 Gbit/s): allows for wake from S4/S5 with keyboard/mouse when connected and enabled in BIOS. 19 Your product does not support Windows 8 or Windows 7, In accordance with Microsoft’s support policy, HP does not support the Windows 8 or Windows 7 operating system on products configured with Intel® 8th generation and forward processors or provide any Windows 8 or Windows 7 drivers on http://www.support.hp.com. 20 Intel® Optane™ memory (cache) is sold separately. Intel® Optane™ memory system acceleration does not replace or increase the DRAM in your system. Available for HP commercial desktops and notebooks and for select HP workstations (HP Z240 Tower/SFF, Z2 Mini, ZBook Studio, 15 and 17 G5) and requires a SATA HDD, 7th Gen or higher Intel® Core™ processor or Intel® Xeon® processor E3-1200 V6 product family or higher, BIOS version with Intel® Optane™ supported, Windows 10 version 1703 or higher, M.2 type 2280-S1-B-M connector on a PCH Remapped PCIe Controller and Lanes in a x2 or x4 configuration with B-M keys that meet NVMe™ Spec 1.1, and an Intel® Rapid Storage Technology (Intel® RST) 15.5 driver. 21 HP ePrint Driver: Requires an Internet connection to HP web-enabled printer and HP ePrint account registration (for a list of eligible printers, supported documents and image types and other HP ePrint details, see www.hp.com/go/eprintcenter). Print times and connection speeds may vary. 22 HP Support Assistant: Requires Windows and Internet access. 23 HP WorkWise: Smartphone app is available as a free download on Google Play. 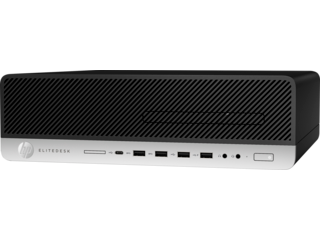 24 HP Sure Recover: is available on HP Elite PCs with 8th generation Intel® or AMD processors and requires an open, wired network connection. Not available on platforms with multiple internal storage drives, Intel® Optane™. You must back up important files, data, photos, videos, etc. before use to avoid loss of data. 25 HP Manageability Integration Kit: Can be downloaded from http://www8.hp.com/us/en/ads/clientmanagement/overview.html 26 Ivanti Management Suite: Subscription required. 27 HP Client Security Suite Gen 4: Requires Windows and Intel® or AMD 8th generation processors. 28 HP Password Manager: Requires Internet Explorer or Chrome or FireFox. Some websites and applications may not be supported. User may need to enable or allow the add-on / extension in the internet browser. 29 Microsoft Defender: Opt in and internet connection required for updates. 30 HP Sure Start Gen4: is available on HP Elite and HP Pro 600 products equipped with 8th generation Intel® or AMD processors. 31 Firmware TPM: Is version 2.0. Hardware TPM is v1.2, which is a subset of the TPM 2.0 specification version v0.89 as implemented by Intel Platform Trust Technology (PTT). 32 RAID configuration: Is optional and does require a second hard drive. 33 HP Sure Run: Is available on HP Elite products equipped with 8th generation Intel® or AMD processors. 34 Intel® Identity Protection Technology (Intel® IPT): Models configured with Intel® Core™ processors have the ability to utilize advanced security protection for online transactions. Intel® Identity Protection Technology (Intel® IPT), used in conjunction with participating web sites, provides double identity authentication by adding a hardware component in addition to the usual user name and password. Intel® Identity Protection Technology (Intel® IPT) is initialized through an HP Client Security module. 35 Intel® Turbo Boost technology requires a PC with a processor with Intel Turbo Boost capability. Intel Turbo Boost performance varies depending on hardware, software and overall system configuration. See www.intel.com/technology/turboboost for more information. 36 Intel® Optane™ memory system acceleration does not replace or increase the DRAM in your system and requires configuration with an optional Intel® Core™ i(5 or 7)+ processor. 37 HP Drive Lock is not supported on NVMe drives. 38 Sold separately or as an optional feature. 1 M.2 2230; 2 M.2 2230/2280; 1 PCIe 3.0 x16; 1 PCIe 3.0 x16 (wired as x4); 2 PCIe 3.0 x1 1 PCIe M.2 2230 slot for WLAN and 2 PCIe M.2 2230/2280 slot for storage. 1 Not all features are available in all editions or versions of Windows. Systems may require upgraded and/or separately purchased hardware, drivers, software or BIOS update to take full advantage of Windows functionality. Windows 10 is automatically updated, which is always enabled. ISP fees may apply and additional requirements may apply over time for updates. See http://www.windows.com/. 2 Some devices for academic use will automatically be updated to Windows 10 Pro Education with the Windows 10 Anniversary Update. Features vary; see https://aka.ms/ProEducation for Windows 10 Pro Education feature information. 3 Multi-core is designed to improve performance of certain software products. Not all customers or software applications will necessarily benefit from use of this technology. Performance and clock frequency will vary depending on application workload and your hardware and software configurations. Intel’s numbering, branding and/or naming is not a measurement of higher performance. 4 For systems configured with more than 3 GB of memory and a 32-bit operating system, all memory may not be available due to system resource requirements. Addressing memory above 4 GB requires a 64-bit operating system. Memory modules support data transfer rates up to 2133 MT/s; actual data rate is determined by the system's configured processor. See processor specifications for supported memory data rate. All memory slots are customer accessible / upgradeable. 5 For hard drives and solid state drives, GB = 1 billion bytes. TB = 1 trillion bytes. Actual formatted capacity is less. Up to 36 GB (for Windows 10) of system disk is reserved for the system recovery software. 6 (1) Configurable video port: Choice of DisplayPort™ 1.2 , HDMI 2.0, or VGA, Type-C™ Card with Display Output, Type-C™ Card with Display Output and Power Delivery. 7 Wireless access point and internet service required. Wireless LAN is optional and must be bought at purchase. 8 Antimicrobial USB Mouse and HP USB Hardened Mouse, HP PS/2 Mouse, HP USB and PS/2 Washable Mouse: are not available in all regions. 9 Miracast is a wireless technology your PC can use to project your screen to TVs, projectors, and streaming. 10 HP Driver Packs: Not preinstalled, however available for download at http://www.hp.com/go/clientmanagement 11 HP BIOSphere Gen4: Requires Intel® or AMD 8th Gen processors. Features may vary depending on the platform and configurations. 12 EPEAT® registered where applicable. EPEAT registration varies by country. See www.epeat.net for registration status by country. See HP’s 3rd party option store for solar energy accessory www.hp.com/go/options. 13 All memory slots are customer accessible / upgradeable. 14 HP USB and PS/2 Washable Keyboard, HP PS/2 Business Slim Keyboard, HP PS/2 Keyboard: PS/2 port not available on EliteOne 800 G4 AiOs. 15 External power supplies, power cords, cables and peripherals are not Low Halogen. Service parts obtained after purchase may not be Low Halogen. 16 Intel® I210-T1 PCIe® GbE: Sold separately or as an optional feature. 17 Absolute Persistence Module: Absolute agent is shipped turned off, and will be activated when customers activate a purchased subscription. Subscriptions can be purchased for terms ranging multiple years. Service is limited, check with Absolute for availability outside the U.S. The Absolute Recovery Guarantee is a limited warranty. Certain conditions apply. For full details visit: http://www.absolute.com/company/legal/agreements/computrace-agreement. Data Delete is an optional service provided by Absolute Software. If utilized, the Recovery Guarantee is null and void. In order to use the Data Delete service, customers must first sign a Pre-Authorization Agreement and either obtain a PIN or purchase one or more RSA SecurID tokens from Absolute Software. 18 Your product does not support Windows 8 or Windows 7, In accordance with Microsoft’s support policy, HP does not support the Windows 8 or Windows 7 operating system on products configured with Intel® 8th generation and forward processors or provide any Windows 8 or Windows 7 drivers on http://www.support.hp.com. 19 HP ePrint Driver: Requires an Internet connection to HP web-enabled printer and HP ePrint account registration (for a list of eligible printers, supported documents and image types and other HP ePrint details, see www.hp.com/go/eprintcenter). Print times and connection speeds may vary. 20 HP Support Assistant: Requires Windows and Internet access. 21 HP Sure Recover: is available on HP Elite PCs with 8th generation Intel® or AMD processors and requires an open, wired network connection. Not available on platforms with multiple internal storage drives, Intel® Optane™. You must back up important files, data, photos, videos, etc. before use to avoid loss of data. 22 HP Manageability Integration Kit: Can be downloaded from http://www8.hp.com/us/en/ads/clientmanagement/overview.html 23 Ivanti Management Suite: Subscription required. 24 HP Client Security Suite Gen 4: Requires Windows and Intel® or AMD 8th generation processors. 25 HP Password Manager: Requires Internet Explorer or Chrome or FireFox. Some websites and applications may not be supported. User may need to enable or allow the add-on / extension in the internet browser. 26 Microsoft Defender: Opt in and internet connection required for updates. 27 HP Sure Start Gen4: is available on HP Elite and HP Pro 600 products equipped with 8th generation Intel® or AMD processors. 28 Firmware TPM: Is version 2.0. Hardware TPM is v1.2, which is a subset of the TPM 2.0 specification version v0.89 as implemented by Intel Platform Trust Technology (PTT). 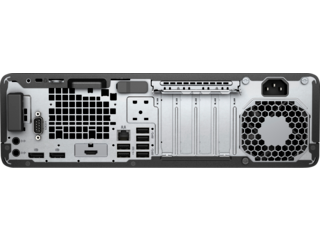 29 RAID configuration: Is optional and does require a second hard drive. 30 HP Sure Run: Is available on HP Elite products equipped with 8th generation Intel® or AMD processors. 31 Intel® Identity Protection Technology (Intel® IPT): Models configured with Intel® Core™ processors have the ability to utilize advanced security protection for online transactions. Intel® Identity Protection Technology (Intel® IPT), used in conjunction with participating web sites, provides double identity authentication by adding a hardware component in addition to the usual user name and password. Intel® Identity Protection Technology (Intel® IPT) is initialized through an HP Client Security module. 32 Intel® Turbo Boost technology requires a PC with a processor with Intel Turbo Boost capability. Intel Turbo Boost performance varies depending on hardware, software and overall system configuration. See www.intel.com/technology/turboboost for more information. 33 Intel® Optane™ memory system acceleration does not replace or increase the DRAM in your system and requires configuration with an optional Intel® Core™ i(5 or 7)+ processor. 34 HP Drive Lock is not supported on NVMe drives. 35 Sold separately or as an optional feature. 1 HP Sure Run is available on HP Elite products equipped with 8th generation Intel® or AMD processors. 2 HP Sure Recover is available on HP Elite PCs with 8th generation Intel® or AMD processors and requires an open, wired network connection. Not available on platforms with multiple internal storage drives or Intel® Optane™. You must back up important files, data, photos, videos, etc. before using HP Sure Recover to avoid loss of data. 3 HP Multi Factor Authenticate Gen2 requires Windows, 7th or 8th generation Intel® Core™ processor, Intel® integrated graphics, and Intel® WLAN. Microsoft System Center Configuration Manager is required for deployment. Three authentication factors require Intel® vPro™. 4 Not all features are available in all editions or versions of Windows. Systems may require upgraded and/or separately purchased hardware, drivers, software or BIOS update to take full advantage of Windows functionality. Windows 10 is automatically updated, which is always enabled. ISP fees may apply and additional requirements may apply over time for updates. See http://www.windows.com. 5 HP Sure Start Gen4 is available on HP Elite and HP Pro 600 products equipped with 8th generation Intel® or AMD processors. 6 Multi-Core is designed to improve performance of certain software products. Not all customers or software applications will necessarily benefit from use of this technology. Performance and clock frequency will vary depending on application workload and your hardware and software configurations. Intel’s numbering, branding and/or naming is not a measurement of higher performance. 7 Intel® Optane™ memory system acceleration does not replace or increase the DRAM in your system and requires configuration with an optional Intel® Core™ i(5 or 7)+ processor. 8 Sold separately or as an optional feature. 9 HP Sure Click is available on most HP PCs and supports Microsoft® Internet Explorer and Chromium™. Supported attachments include Microsoft Office (Word, Excel, PowerPoint) and PDF files in read only mode, when Microsoft Office or Adobe Acrobat are installed. 1 Not all features are available in all editions or versions of Windows. Systems may require upgraded and/or separately purchased hardware, drivers, software or BIOS update to take full advantage of Windows functionality. Windows 10 is automatically updated, which is always enabled. ISP fees may apply and additional requirements may apply over time for updates. See http://www.windows.com/. 2 Some devices for academic use will automatically be updated to Windows 10 Pro Education with the Windows 10 Anniversary Update. Features vary; see https://aka.ms/ProEducation for Windows 10 Pro Education feature information. 3 Multi-core is designed to improve performance of certain software products. Not all customers or software applications will necessarily benefit from use of this technology. Performance and clock frequency will vary depending on application workload and your hardware and software configurations. Intel’s numbering, branding and/or naming is not a measurement of higher performance. 4 For systems configured with more than 3 GB of memory and a 32-bit operating system, all memory may not be available due to system resource requirements. Addressing memory above 4 GB requires a 64-bit operating system. Memory modules support data transfer rates up to 2133 MT/s; actual data rate is determined by the system's configured processor. See processor specifications for supported memory data rate. All memory slots are customer accessible / upgradeable. 5 For hard drives and solid state drives, GB = 1 billion bytes. TB = 1 trillion bytes. Actual formatted capacity is less. Up to 36 GB (for Windows 10) of system disk is reserved for the system recovery software. 6 (1) Configurable video port: Choice of DisplayPort™ 1.2 , HDMI 2.0, or VGA, Type-C™ Card with Display Output, Type-C™ Card with Display Output and Power Delivery. 7 Wireless access point and internet service required. Wireless LAN is optional and must be bought at purchase. 8 Antimicrobial USB Mouse and HP USB Hardened Mouse, HP PS/2 Mouse, HP USB and PS/2 Washable Mouse: are not available in all regions. 9 Miracast is a wireless technology your PC can use to project your screen to TVs, projectors, and streaming. 10 HP Driver Packs: Not preinstalled, however available for download at http://www.hp.com/go/clientmanagement 11 HP BIOSphere Gen4: Requires Intel® or AMD 8th Gen processors. Features may vary depending on the platform and configurations. 12 EPEAT® registered where applicable. EPEAT registration varies by country. See www.epeat.net for registration status by country. See HP’s 3rd party option store for solar energy accessory www.hp.com/go/options. 13 All memory slots are customer accessible / upgradeable. 14 HP USB and PS/2 Washable Keyboard, HP PS/2 Business Slim Keyboard, HP PS/2 Keyboard: PS/2 port not available on EliteOne 800 G4 AiOs. 15 External power supplies, power cords, cables and peripherals are not Low Halogen. Service parts obtained after purchase may not be Low Halogen. 16 Intel® I210-T1 PCIe® GbE: Sold separately or as an optional feature. 17 Absolute Persistence Module: Absolute agent is shipped turned off, and will be activated when customers activate a purchased subscription. Subscriptions can be purchased for terms ranging multiple years. Service is limited, check with Absolute for availability outside the U.S. The Absolute Recovery Guarantee is a limited warranty. Certain conditions apply. For full details visit: http://www.absolute.com/company/legal/agreements/computrace-agreement. Data Delete is an optional service provided by Absolute Software. If utilized, the Recovery Guarantee is null and void. In order to use the Data Delete service, customers must first sign a Pre-Authorization Agreement and either obtain a PIN or purchase one or more RSA SecurID tokens from Absolute Software. 18 Your product does not support Windows 8 or Windows 7, In accordance with Microsoft’s support policy, HP does not support the Windows 8 or Windows 7 operating system on products configured with Intel® 8th generation and forward processors or provide any Windows 8 or Windows 7 drivers on http://www.support.hp.com. 19 HP ePrint Driver: Requires an Internet connection to HP web-enabled printer and HP ePrint account registration (for a list of eligible printers, supported documents and image types and other HP ePrint details, see www.hp.com/go/eprintcenter). Print times and connection speeds may vary. 20 HP Support Assistant: Requires Windows and Internet access. 21 HP Sure Recover: is available on HP Elite PCs with 8th generation Intel® or AMD processors and requires an open, wired network connection. Not available on platforms with multiple internal storage drives, Intel® Optane™. You must back up important files, data, photos, videos, etc. before use to avoid loss of data. 22 HP Manageability Integration Kit: Can be downloaded from http://www8.hp.com/us/en/ads/clientmanagement/overview.html 23 Ivanti Management Suite: Subscription required. 24 HP Client Security Suite Gen 4: Requires Windows and Intel® or AMD 8th generation processors. 25 HP Password Manager: Requires Internet Explorer or Chrome or FireFox. Some websites and applications may not be supported. User may need to enable or allow the add-on / extension in the internet browser. 26 Microsoft Defender: Opt in and internet connection required for updates. 27 HP Sure Start Gen4: is available on HP Elite and HP Pro 600 products equipped with 8th generation Intel® or AMD processors. 28 Firmware TPM: Is version 2.0. Hardware TPM is v1.2, which is a subset of the TPM 2.0 specification version v0.89 as implemented by Intel Platform Trust Technology (PTT). 29 RAID configuration: Is optional and does require a second hard drive. 30 HP Sure Run: Is available on HP Elite products equipped with 8th generation Intel® or AMD processors. 31 Intel® Identity Protection Technology (Intel® IPT): Models configured with Intel® Core™ processors have the ability to utilize advanced security protection for online transactions. Intel® Identity Protection Technology (Intel® IPT), used in conjunction with participating web sites, provides double identity authentication by adding a hardware component in addition to the usual user name and password. Intel® Identity Protection Technology (Intel® IPT) is initialized through an HP Client Security module. 32 Intel® Turbo Boost technology requires a PC with a processor with Intel Turbo Boost capability. Intel Turbo Boost performance varies depending on hardware, software and overall system configuration. See www.intel.com/technology/turboboost for more information. 33 Intel® Optane™ memory system acceleration does not replace or increase the DRAM in your system and requires configuration with an optional Intel® Core™ i(5 or 7)+ processor. 34 HP Drive Lock is not supported on NVMe drives. 35 Sold separately or as an optional feature.